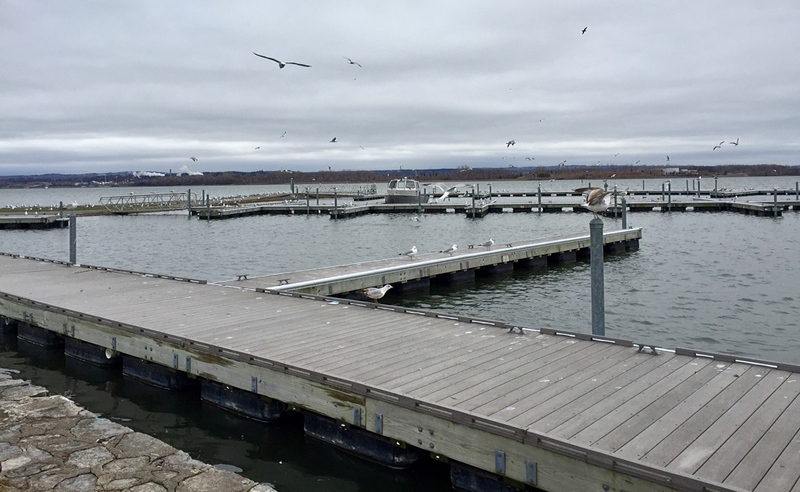 A quick walk down the block from my job at the library reveals that spring indeed is settling in over Onondaga Lake. Ready for the lunch crowd. The grass looks a little greener once I crossed the threshold into Onondaga Lake Park. 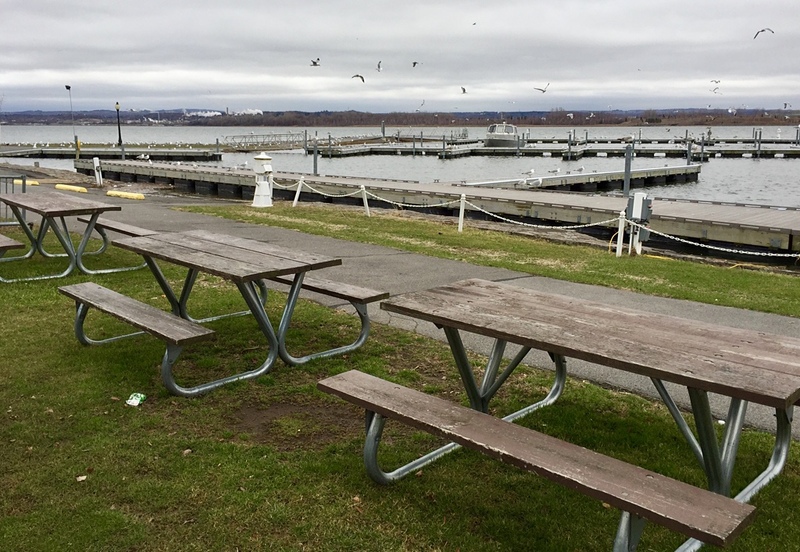 A worker had aligned three picnic along the marina’s edge. Closer still to the water, the sound of seagulls astounded. And some soul has placed a boat in the lake. Already. Soon enough, I will be hauling my lunch bag toward that spring and summer spot. How soon until you’ll be eating a meal outside? I’m thinking…Tuesday ! Great forecast. ooh, it’s coming and can’t wait. the seagulls and the brave boat are sure signs. hopefully eat outside very soon! By the water, Ann. Yay, yup. That sounds like a grand time, Willow. Enjoy, everybody! Hi Mark, we have been having pretty warm weather over in our neck of the woods, for the last week or so. I have had the windows open in the house, and I can smell the orange blossoms from our neighbor’s tree throughout the house. But it has now been raining for the last 2 days and it never rains here in the Central Valley this late in the year. We are all quite puzzled about it. Maybe our overdue Ice Age is coming. Enjoy the moisture while it’s there, SD. You get enough drought. It looks like you’ll really enjoy that setting come warmer weather!